On November 12th Christie’s Post-War and Contemporary Art evening sale achieved $691,583,000 (£435,697,000 / €511,771,420), the highest total for an auction sale in art market history, with a strong sell-through rate of 98% by value and 91% by lot. Bidders from 42 countries competed for an unprecedented offering of masterworks from all the major art movements of the last six decades. Bidders vied for works by some of the century’s most inspiring and influential artists: Francis Bacon, Andy Warhol, Donald Judd, Lucio Fontana, Jackson Pollock, Mark Rothko, Jeff Koons, Christopher Wool, Roy Lichtenstein and Jean-Michel Basquiat. Top quality and important provenance were highly prized by collectors including works from the collections of Peter Brant, Senator Frank Lautenberg, Robert A.M. Stern, Eric Clapton and the Daimler Art Collection in Berlin. 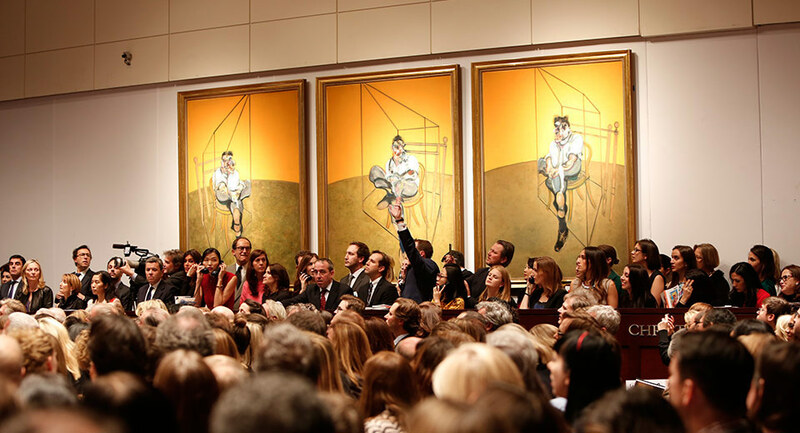 The sale established 10 new world auction records, selling 11 lots for over $20 million, 3 works for over $50 million, 16 for over $10 million and 56 for over $1 million. Christie’s Post-War and Contemporary Art Morning and Afternoon Sessions continue on November 13. Bidding remains open for Online: Post-War and Contemporary Art through November 19.